Heat oven to 350°F. Line 9-inch square pan with foil; spray foil with cooking spray. Cut two-thirds of roll of cookie dough into 1/4-inch slices. Arrange slices in bottom of pan; press in pan to form base. Sprinkle butterscotch chips evenly over base. In small microwaveable bowl, microwave peanut butter on High 20 to 30 seconds or until melted and can be stirred smooth. Stir in sweetened condensed milk. 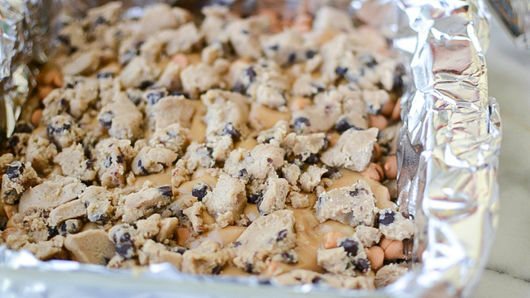 Pour evenly over butterscotch chips. 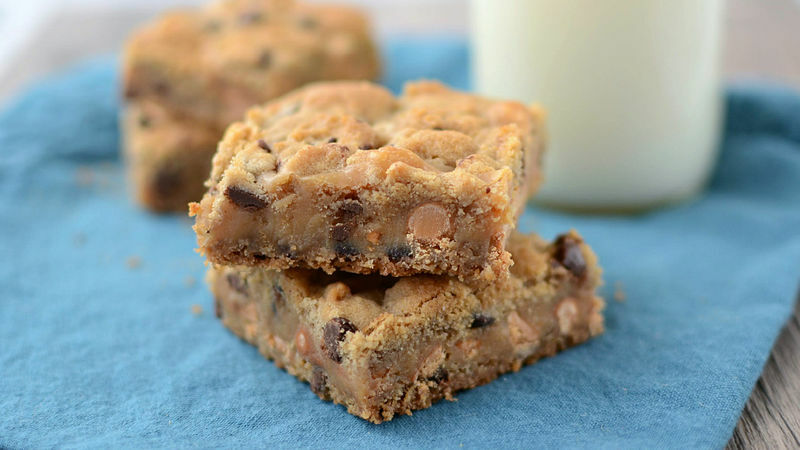 Cut remaining cookie dough into 1/4-inch slices; break each slice into 4 pieces. Sprinkle over peanut butter-condensed milk mixture; press lightly to compact. Bake 28 to 30 minutes or until top is golden brown. Cool completely, about 45 minutes. Cut into 4 rows by 3 rows to make 12 bars. Refrigerate the bars for faster cooling and easier slicing. Don’t have butterscotch chips? Substitute your favorite mini candy, chopped nuts, or another flavor of chips.